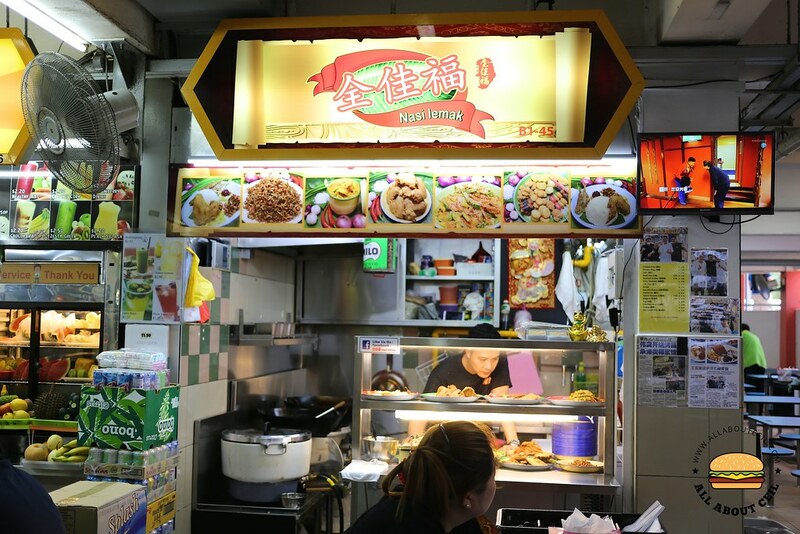 This stall is serving Nasi Lemak and it has been the talk of the town as one of the owners is a relatively popular 歌台 (ge tai) singer, Cheng Ze (承泽). He was one of those singers that participated in the 歌台星力量 that was aired on Channel 8 in 2015. 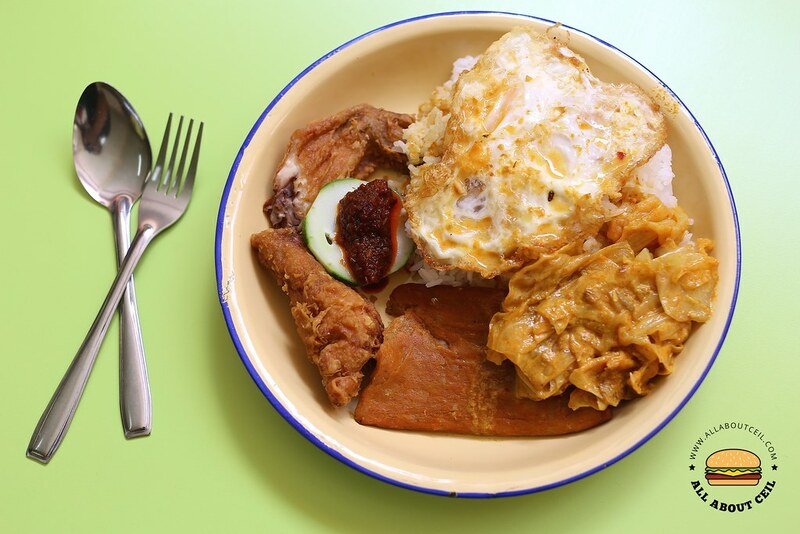 Their Nasi Lemak is served on those old-school enamelware plates which you do not get to see it often these days and there is even an old milo tin hung on the ceiling that you only see in those old-fashioned provision shops in the past. One of his partners who is in-charge of all the cooking used to be a cook in a famous Nasi Lemak in Boon Lay. I opted to go with the fried chicken wing, curry vegetable, fried egg and otah for $4.40. The deep-fried fried chicken wing was still slightly crispy even after left it for a while. The curry vegetable that mainly consists of cabbage was cooked just right, it has the desired softness that I enjoyed. The fried egg was done right too, its egg yolk was not overcooked. The otah was just average. The coconut-flavored rice was light and fluffy in its texture. The sambal chili did not taste as spicy as expected to be. 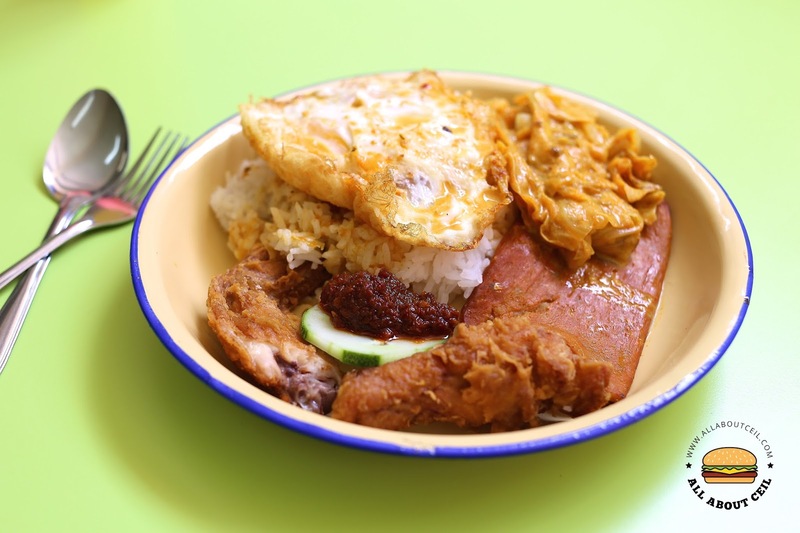 It did not taste as good as the one served with the Nasi Lemak by Damien D'Silva at his now-defunct eatery at Timbre+. His sambal chili was amongst the best and the spiciest that I had had. It is good to see the amount of effort they have put in to run the stall and this is likely to go far. NOTE: The stall has moved to 2 Bukit Batok Street 24 Skytech Building (level 9) Singapore 659480.